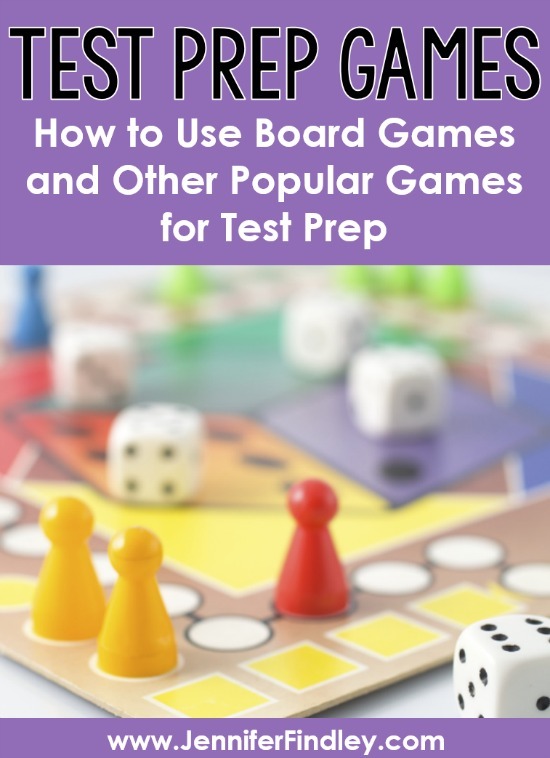 One of my favorite things to do is to use board games or other popular games for test prep or review. I have found that my students respond better and are more engaged with test prep games involving popular games they love to play. 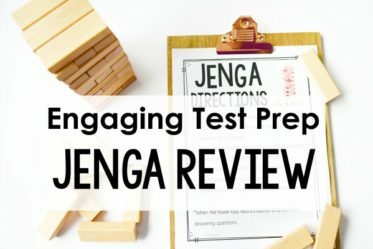 In this post, I will share how I use any game for a test prep game or review for a large unit assessment. 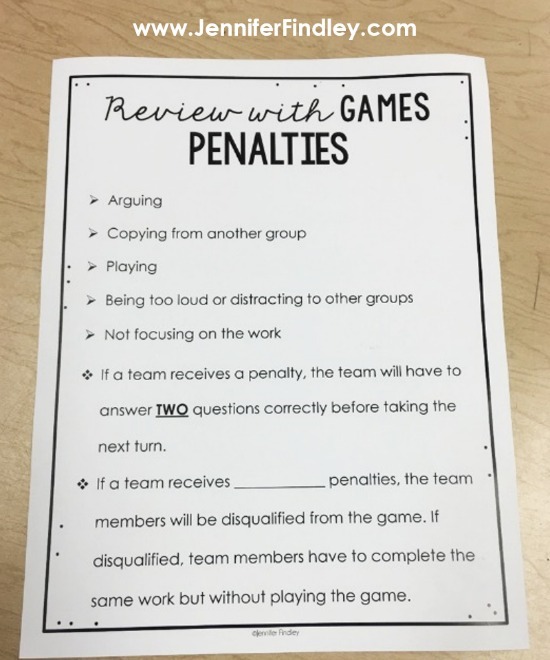 I will also share the strategies I use to hold my students accountable and working hard while they are playing the games. This post includes an affiliate links if you wish to purchase the games mentioned in this post. I group my students into groups of about 4 students each, if possible. With larger classes, you do need to have larger groups or more groups. 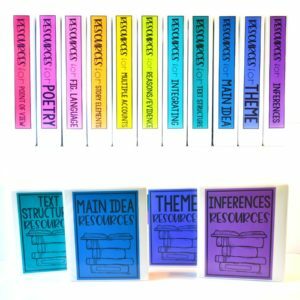 Allow my students to choose a game or assign a game to each group. Clearly explain the expectations to my students (more about that in a minute). Give my groups their assigned work and go over the quality and quantity of work expectations (varies based on the assignment). Circulate while the groups are working to offer assistance, check answers, and give permission to play the game. For any of the games, the students have to 1) Answer the question in a complete sentence. 2) Explain how they knew their answer is correct. Then, they raise their hand when they were ready to be checked. (If I am busy with another group, they know to start the next question while they wait). To check their answers/work, I randomly choose a group member to answer and explain. I ask follow up questions as needed. By choosing a random student, this helps keep them all accountable. If that student’s work makes no sense, is inaccurate, or they cannot prove it, I remind them to work as a team and let me know when they are ready for me to check again and then I usually walk away to check another group. If I see that the group is genuinely struggling, I will stay and provide support, but 9 times out of 10, they don’t need my help. After they have been checked off and their work is correct, each member of the group takes one turn at whatever game they were playing. Then they continue to the next question. 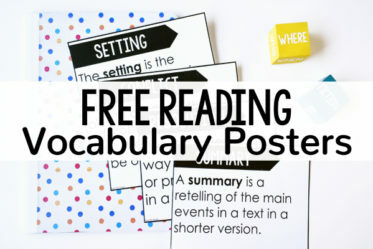 Click here to grab the printable directions that I use. 1. Take turns selecting a question to answer. 2. Each person in the group must answer the question and record the answer. 3. The person whose turn it is must prove his or her answer is correct to the other members of the group. 4. If the answer is proven correct, the person whose turn it is may take a turn at the game. 5. Repeat steps 1-4 with another member of the team. The only difference between this way and the other directions is that this way is more independent and only one person is taking a turn at the game at a time. Ultimately, I let the game we are playing and the type of review questions guide which directions I use. The directions for this version is on page 2 of the free download (click here to grab it if you missed it linked above). To be honest, giving a penalty rarely happens because the students are eager to take their turn at the game. 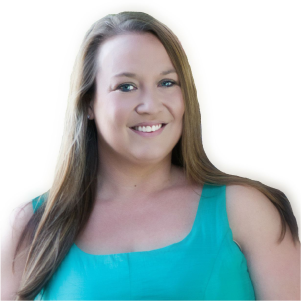 Not only do they not want to risk having to answer two questions to take a turn, but they are usually always hyper-focused on answering their one question and have no time to misbehave. 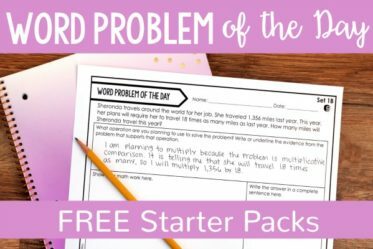 The biggest problem that I have had playing test prep games this way is not all students knowing or trying, specifically at the beginning of the year. By the middle and end of the year, they have learned my expectations and this behavior is pretty much non-existent. In the meantime, choosing a random student to check and ask any follow-up questions takes care of this. Click here to grab the printable that explains the penalties. The penalties and explanation are on page 3 of the download. With very large classes, this can be difficult to manage in a whole group setting without another teacher for support (ESS, ESOL, etc). Another option is to have this as a center. 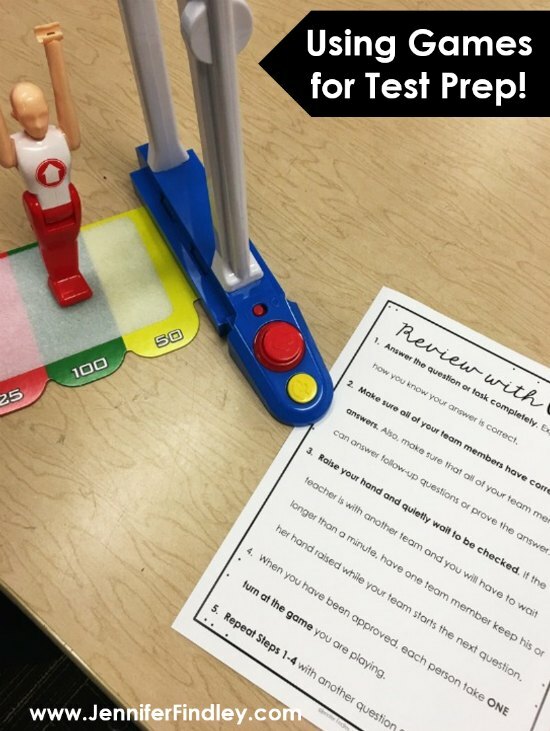 If you decide to do this, I recommend having a “group leader” to ensure the expectations are met and then another student as the “answer checker” ensuring that the answers are correct before each student takes a turn. 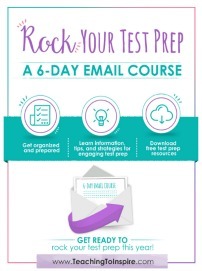 If you choose to do this as a test prep center, I do recommend going through it at least once whole class to set the expectations for behavior and quality of work. 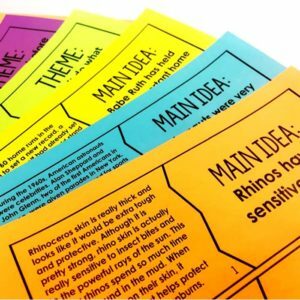 Here are some of my favorite high interest games to use as test prep. Jenga> Click here to read a post about using Jenga as a test prep game. Pie Face> Click here to read a post about using Pie Face as a test prep game. 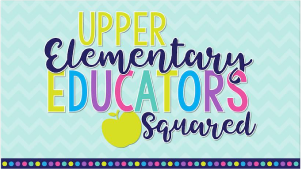 Hint: Ask your gym teacher if he or she has any games the students particularly love and see if you can incorporate those in your classroom using the ideas in this post. These skills are not typically easily adapted into popular games. These are skills that require a bit more motivation from the students. These skills take 3-5 minutes or more to complete so the students are doing plenty of work to get the right to play the game. This also gives you time in between to monitor and assist. 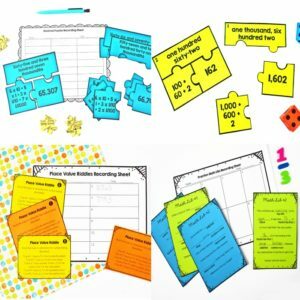 These task cards (can also be printed as a printable booklet) are my go-to resources to use with games for test prep. 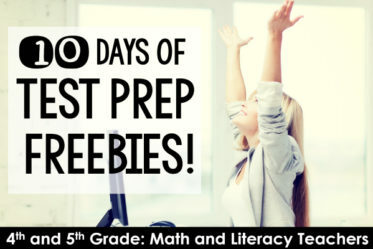 What do you think about using popular games as test prep games? Is this something you do already? Let me know your thoughts in the comments! 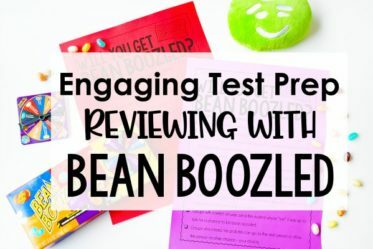 Playing Jenga: Engaging Test Prep Bean Boozled in the Classroom (Jelly Belly Challenge): Engaging Test Prep Free Test Prep Activities — 10 Days of Test Prep Freebies! I wonder if you could use uno to review fractions. Every time you put a card down you pick a card to solve involving the card you discarded. Just a thought. 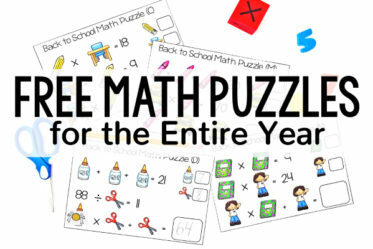 My students love both of these interactive games. Thanks for sharing. Had never heard of it before.